This beer stein is the perfect thing to sit back and relax with after a long day. Put a hilarious saying or graphic on either side to get a few laughs from your buddies. This ceramic beer stein has a 3" diameter (width of about 4.5" with the handle) and is approximately 5.5" tall. 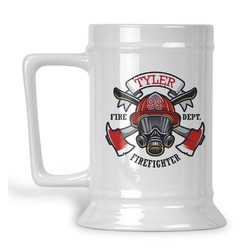 At 16oz, this is the perfect stein for relaxing at home or with your buddies. The square handle gives a touch of modern to the classic shape of the beer stein. 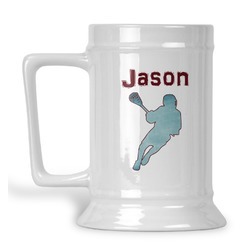 Now personalize your stein with a graphic or monogram. Pick something from our system or upload your own artwork! If you ever have any questions about using our design center, don't hesitate to contact us! We are always happy to help! It came just how I designed it. Print was bold and clean. The large handle is really nice. 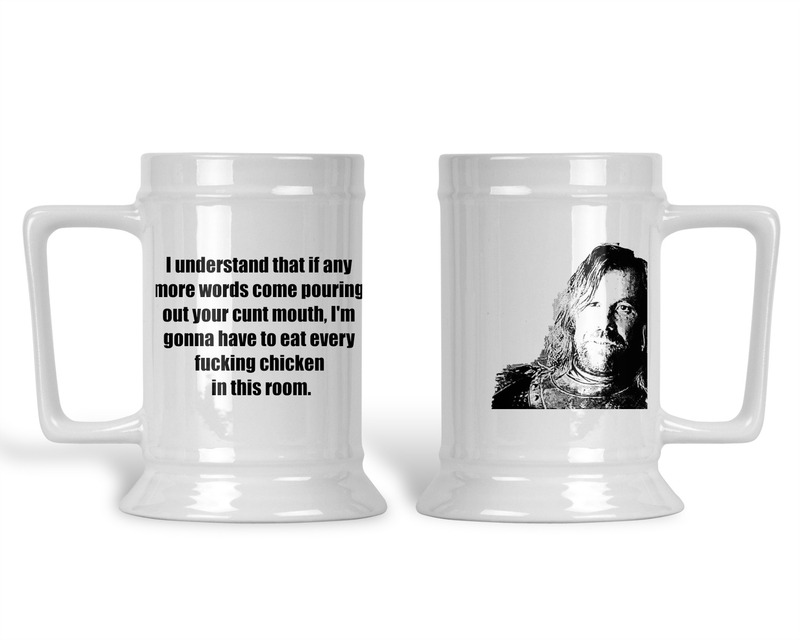 It's a great design for your GOT enthusiast.